Attend VIP opening reception of Art Palm Beach (www.artpalmbeach.com) on Wednesday evening, January 21. 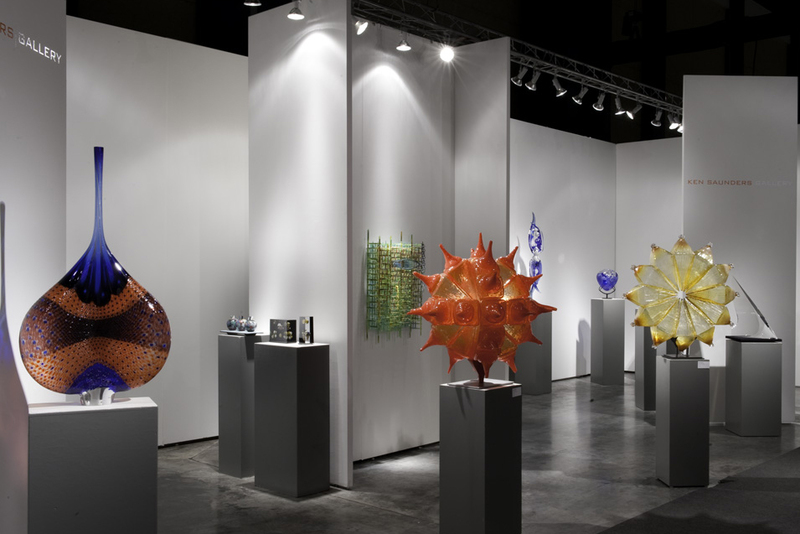 Art Palm Beach, which is a nationally known art exhibition, features over 80 galleries showing modern and contemporary art of all types, including 5 to 10 major glass art dealers such as Habatat, Riley and Schantz. Visit in the studios of well known glass and ceramic artist Vivian Wang (vivianwangsculpture.com), who does wonderfully detailed ceramic childrens’ figures with glass heads and hands, as well as mosaic artist Suzi Edwards (www.suzikedwards.com), who is known for her installations as well as residential pieces. Tours of at least half a dozen really fabulous private collections hosted by the owners in their homes in the Palm Beach/Boca Raton area. These collections feature some of the best art made from glass you’ll see anywhere, as well as wonderful art in all other mediums. Visits to the two major glass art galleries in the area, Habatat of Palm Beach (www.habatatgalleries.com) and Stewart Fine Art Gallery (www.sfaglass.com). Visit to the brand new glass foundry Benzeitan which is headed by glass artist Rick Eggert, whose work was shown at Marshall Gallery’s invitational this past spring. Dinners at the best steak house in Boca, Abe & Louie’s (www.abeandlouies.com), the best fish restaurant in Boca, Truluck’s (www.trulucks.com), and a wonderful family owned Italian spot, Benvenuto (www.benvenutorestaurant.com). Stay at the brand new boutique hotel, the Waterstone (www.waterstoneboca.com), which is located right on the water in the heart of Boca and has received rave reviews. We’ve negotiated a very favorable in season rate of $225 plus tax per night, single or double occupancy, and that rate will be applicable two nights prior and two nights after the trip, on a space available basis, for those that want to extend their trip. Private chartered bus for all events. Cost $625 per person, plus hotel and airfare, which is about $400 per person right now into Ft. Lauderdale from Phoenix.